You’re a busy developer and you have read article after article of “What’s new in WP7 Mango” but you are only interested in knowing “What does this mean for me as a developer ?”. This is where I step in and give you the “need to know” with a quick blog post. 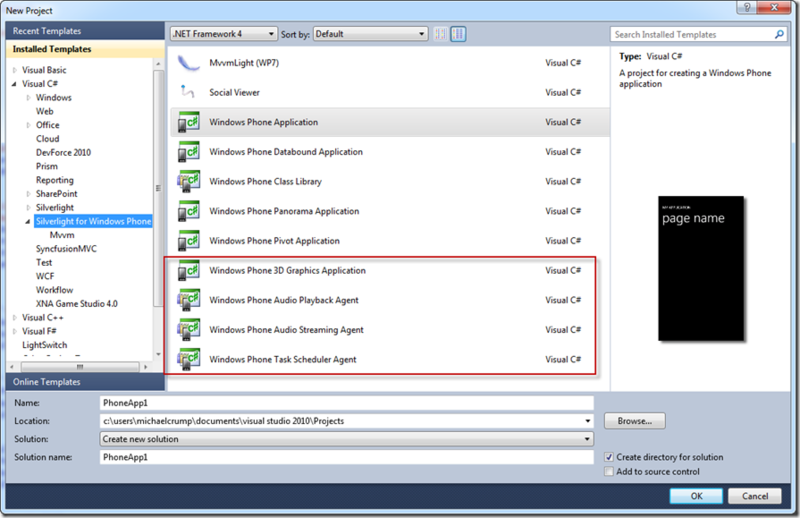 The Beta to Windows Phone 7.1 Developer Tools named ("Mango") was released on May 24th 2011. This means you can download the bits right now but as far as having Mango on your phone you are going to have to wait. Mango Beta Dev Tools requires VS2010 SP1 already installed. Applications created using it will not run on a NoDo Device. It is a beta and you can’t submit an app using it. Visual Basic is now fully integrated into the release but you need to uninstall VB for WP Dev Tools 7.0 First. The Game Development Page has been updated by Microsoft as well for the XNA Folks. 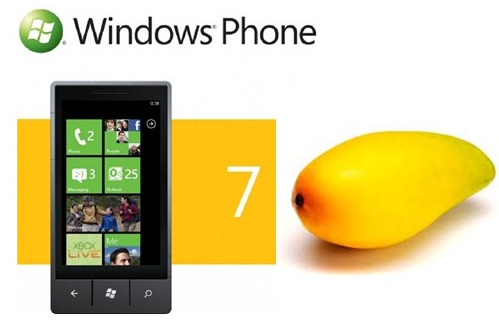 Windows Phone codenamed Mango Training Course. 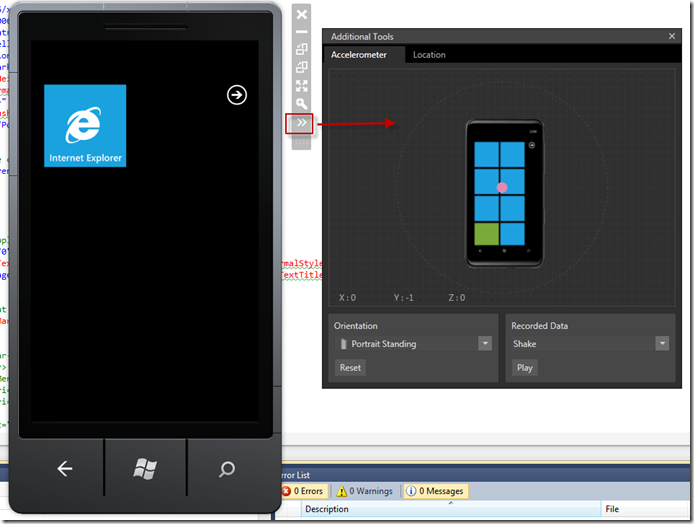 OData Updates in Windows Phone Mango. MVVM Light Toolkit has been updated to support Mango. Alex Golesh’s Blog which includes a 8 Part Series on Mango. If you wish to continue publishing applications make sure that this is checked Windows Phone 7.0. Only use 7.1 if you want to play with the new features in Mango. 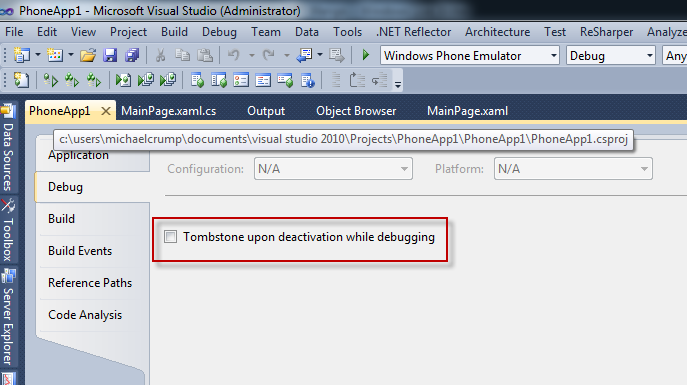 4) If you right click on your project properties and select “Debug” then you will a new option called “Tombstone upon deactivation while debugging”. This will allow us to forego Fast Application Switching in favor of tombstoning. Alex Golesh has an excellent blog post with more information regarding this. 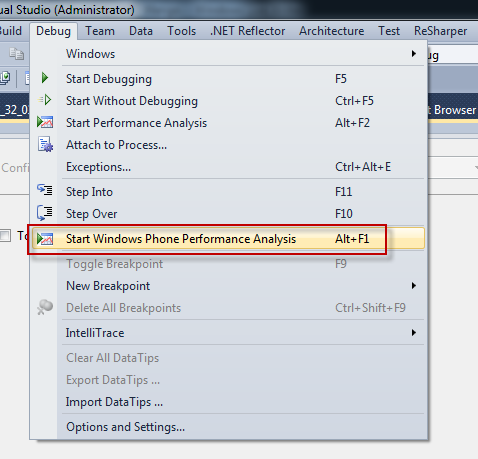 5) Comes with a built-in WP Performance Analysis. Just go to Debug then –> Start Windows Phone Performance Analysis.